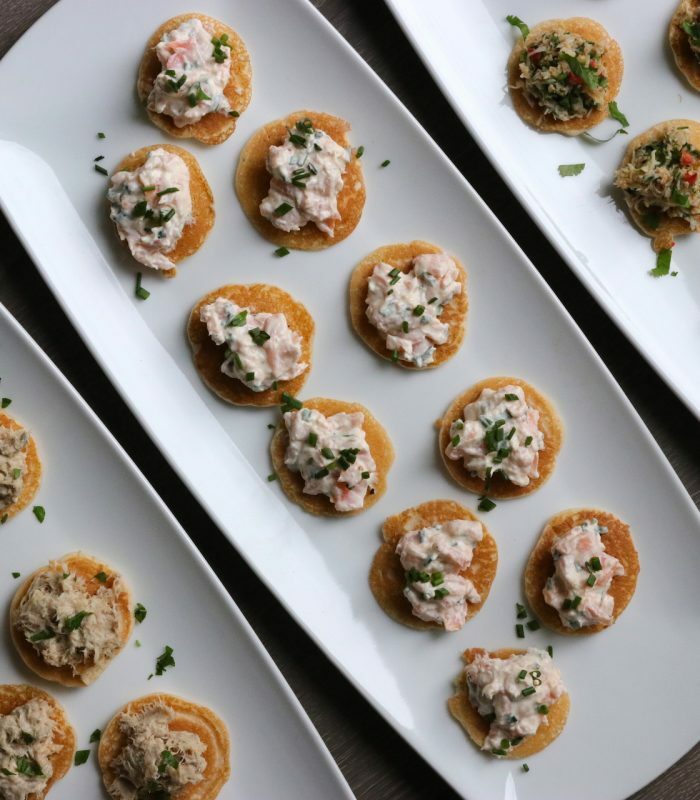 Entertaining for lots of party guests doesn’t need to be a chore when you have a super easy blini recipe to hand. 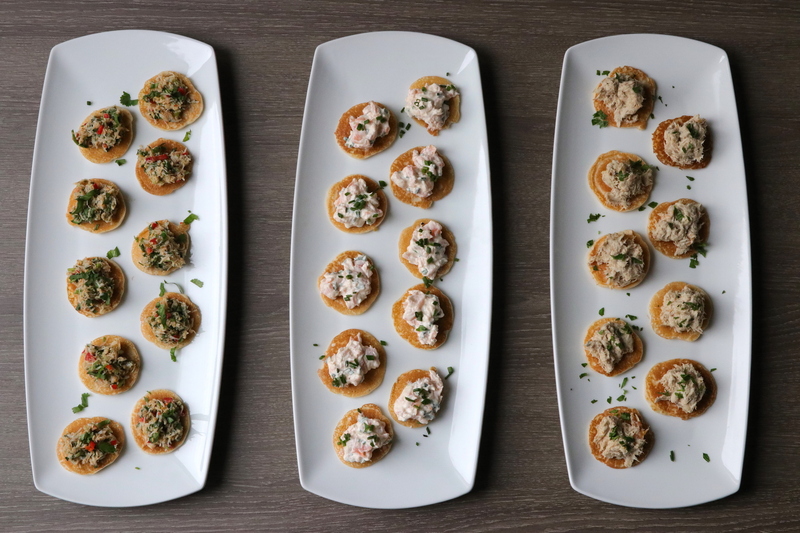 Our tried and tested recipe is the perfect base for pretty much any canapé going. We make ours on the electric plancha on the Lacanche range cooker but they are just as good cooked in a flat saucepan too. It does sound like a faff making blinis yourself when you can buy them in a supermarket, but the fresh ones taste so much better and once cooked and cooled they freeze so well too. To begin, make a thin paste out of the yeast and 225g of the sifted flour diluted with the warm milk. Leave this paste to ferment for twenty minutes or so a warm room/ area or the kitchen, and then add the rest of the flour (115g), the egg yolks, a pinch of salt, the cold milk and mix together without letting it acquire any body. Once mixed, fold in the whisked egg whites which should loosen the mixture. Let this ferment for fifteen minutes – hour, and during this time if mixture has thickened add small amounts of cold milk until slightly more runny. When you are ready to start, poor a small amount of the blini batter onto the electric plancha or non-stick pan. We always wipe the plancha with a little olive oil first so they flip easily. We use a dessert spoon to spoon the mixture onto the hot surface. Wait for bubbles to form on the upper side then flip over. Once the underside is slightly browned, remove from the heat and leave to cool. Add the topping of your choice or freeze in batches for future use. 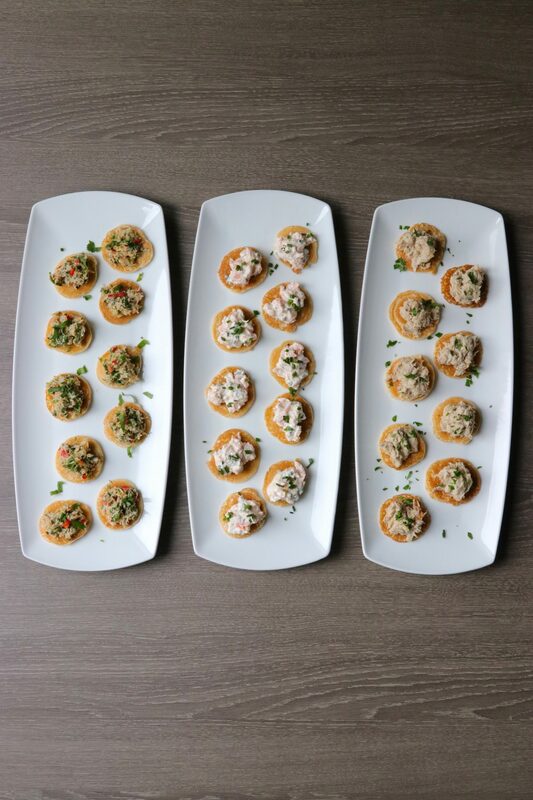 For canapé recipe ideas take a look at these: fragrant thai crab, creamy smoked salmon or smoked mackerel & horseradish.